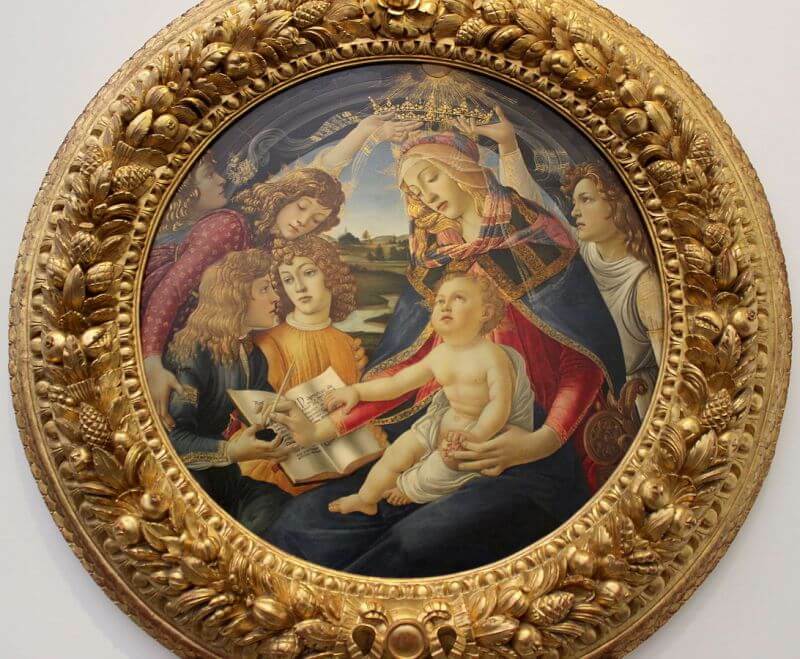 We don't know the circumstances in which the panel was commissioned, but the circular shape of the painting let us think to a work made for private devotion. The scene represented in the round sees Maria crowned by two angels while busy writing a book on a passage from the Gospel of Luke: "Magnificat anima mea Dominum". The baby Jesus is sitting on her lap and with one hand guides her in the writing. Other angels hold the book and the inkpot and another winged figure is located behind the two. The composition perfectly adapted to the shape of the painting by converging the eyes of the viewer on the book and on the hands of Mary and Jesus.